The first Ford truck made its debut 100 years ago. The Model TT was made by Henry Ford at the request of his customers who wanted a utility vehicle that could haul heavier loads for work. The new Ford 2017 F-Series Super Duty isn’t just a truck, it's luxury hauling on wheels. The motor company’s latest version of the pickup boasts massaging leather seats, a panoramic moonroof and state of the art infotainment system. Ford Motor Co. has come a long way since debuting its first truck, the 1917 Model TT, 100 years ago today. 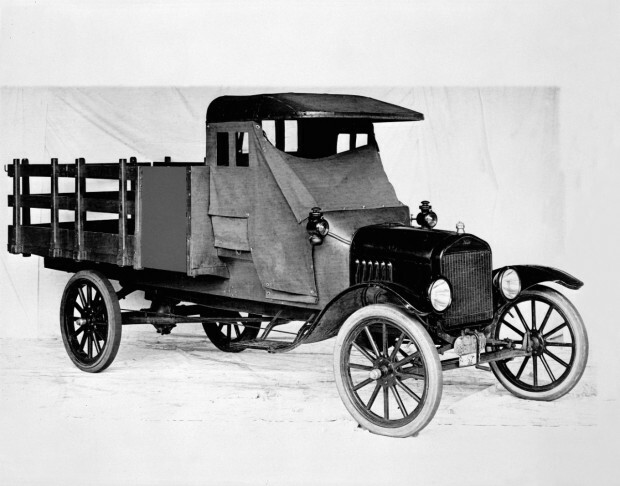 Henry Ford made the truck after customers requested a utility vehicle that could haul heavier loads for work. On July 27, 1917, Ford rolled out the first Model TT with a price tag of $600. The vehicle was essentially the cab of a Model T with a hefty frame and bed bolted on that back, enabling the vehicle to carry heavy loads and giving birth to the pickup truck. Ford sold 209 Model TT trucks in 1917. A century later, Ford trucks remain America’s best selling pickups, holding on to the number one spot for 40 consecutive years, according to the company. By 1928, Ford had sold 1.3 million TTs before replacing it with the Model AA and its 1.5-ton chassis. "Model AA trucks in particular had a certain class to them," said Ford historian Bob Kreipke in a statement. "Customers could use them on the farm, yet still take them to church on Sunday." In 1933, Ford replaced the Model AA with the even more capable Model BB. Many were outfitted as mail and freight vehicles, ambulances and stake trucks. Two years later, Ford introduced the 1935 Model 50 pickup, powered exclusively by its pioneering Flathead V-8 engine. During the Great Depression, when thousands of families left their farms carrying everything their pickups could from the Dust Bowl to cities around the country, the truck transitioned from workhorse to everyday vehicle. "A lot of rural Americans moved to urban and suburban centers looking for work, and many took their Ford pickups with them," said Kreipke. "Ford saw this as an opportunity, and began work on the next generation of trucks for 1948, what came to be known as F-Series Bonus Built trucks." 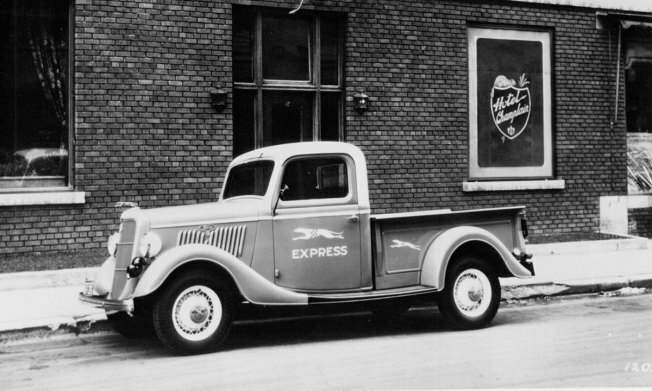 The first of the F-Series trucks arrived for 1948. And while the F designation has remained, the first models had a more basic numbering system. The trucks started with the F-1, a contemporary F-150 equivalent, and went up to the ultra-heavy duty commercial trucks like the F-7. Tack a "50" onto the end of those names and you'll have modern day F-Series trucks. The Falcon Ranchero joined the line-up in 1957. Marketed as "More Than a Car! More Than a Truck!," this light-duty truck brought car-like amenities to consumers. Ford notes that it was at this time that trucks started getting basic amenities such as automatic transmissions, arm rest, and sun visors. The first F-150 was introduced in 1975. Just two years later, the Ford F-Series became the best selling truck in America, and it took best selling passenger vehicle in 1982. In the '70s and '80s, Ford also began offering more luxurious accommodations such as leather, air conditioning, and power windows and locks. Ford is credited with putting the world on wheels, and its trucks, according to Ford, "helped build America." "Ford trucks carried the loads, the people and the products necessary to get the job done," Kreipke said.